It’s cherry season here. As tempting as it is to eat them straight from the bag or dangle attached pairs from my ears, I like to save some for a few desserts. 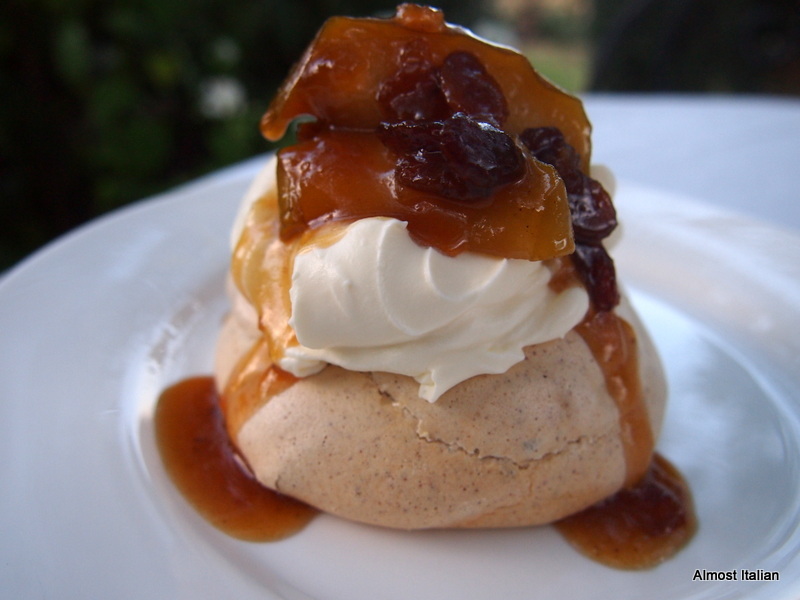 The following recipe for Cinnamon Meringue is a handy one for the looming silly season. These can be made ahead and stashed in an airtight box for a week. When you need a dessert, simply whip some cream and poach some seasonal fruit. The cinnamon adds another dimension to the meringue taste. Preheat the oven to 120c. Line the baking trays with baking paper. Whisk egg-white until stiff. Gradually add caster sugar until mixture is glossy. ( do this slowly in stages). Add the cornflour, vanilla, vinegar and cinnamon and whisk until combined. Draw 8 cm circles on the baking paper: turn the paper over so that you can still see the circles) and pile the meringue into each circle, smoothing the sides. Make an indent in the top and bake in the oven for 1 hour. Remove when cool and store in an airtight tin or plastic clip box. Gently poach the cherries in a little water with strewn sugar to taste. This should only take around 5 minutes. Add alcohol, such as Kirsch or amaretto, if you like. Whip the cream. 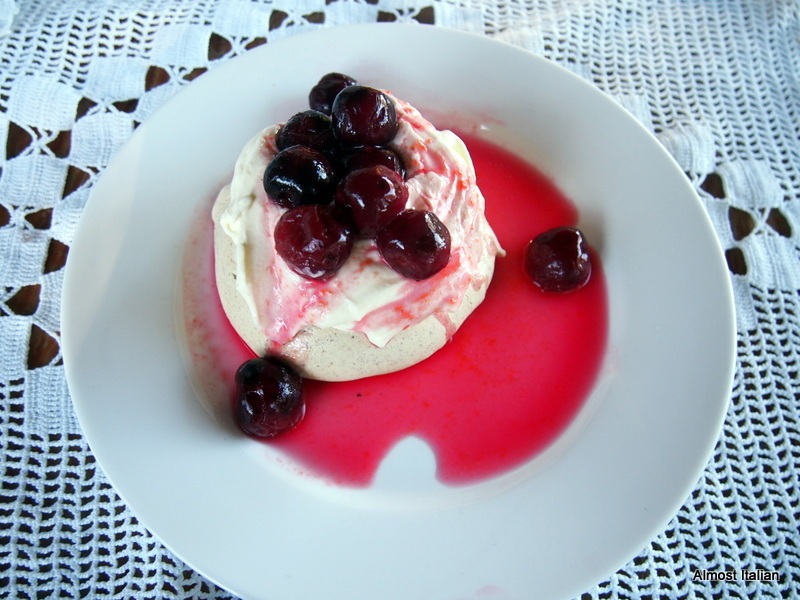 Serve the individual meringues topped with cream and cherries with some of the poaching liquid, and serve an extra bowl of cherries on the side.